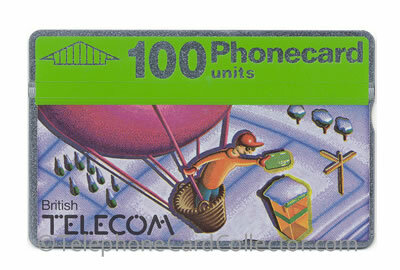 These British Telecom (BT) Phonecards were cards commissioned by BT, normally in limited printings, to commemorate a specific event, anniversary, season or annual function. The cards are available to all members of the general public at face value for a limited period of time, and sometimes only at or actually within the locality where the event or function is taking place. Cards which effectively advertise BT's own services and are available through normal retail outlets are included in this category. The cards pictured below appear in order of catalogue number BTC004 to BTC181. The cards pictured are a mere few from the BTC category which features 181 cards. 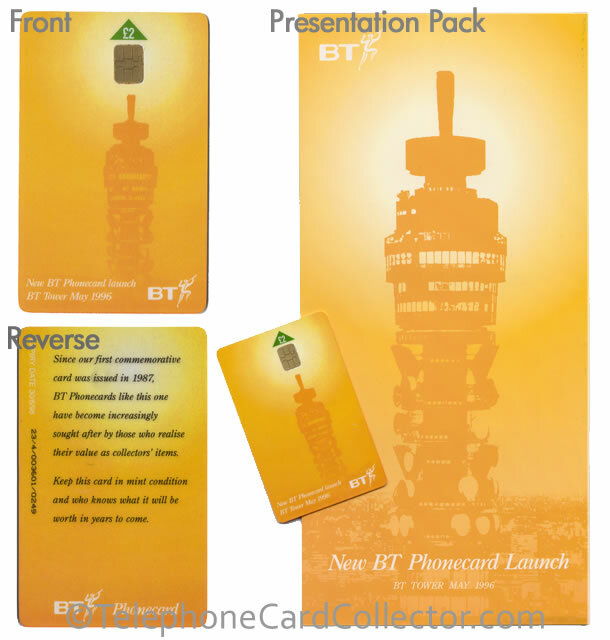 To view all of the cards in BTC section simply purchase a copy of the UK 1 World Phonecard Catalogue (pictured right). 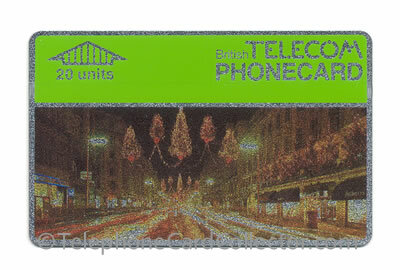 First full colour BT Phonecard depicts London's Regent Street with Christmas decorations. 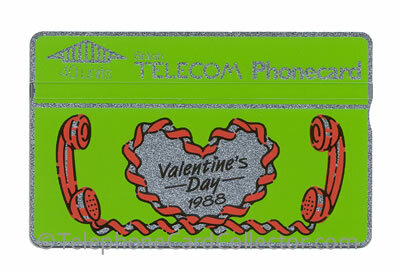 St. Valentine's Day BT Phonecard. 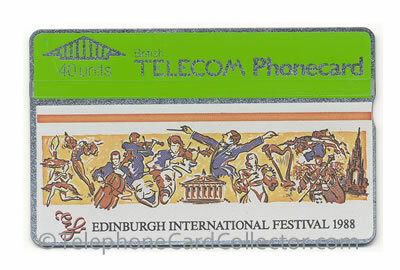 Edinburgh International Festival 1988 40unit BT Phonecard. 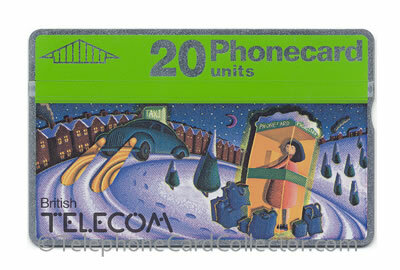 Christmas 1990 20unit BT Phonecard. 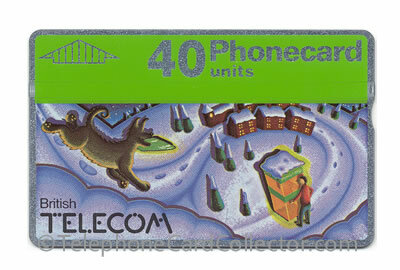 Christmas 1990 40unit BT Phonecard. 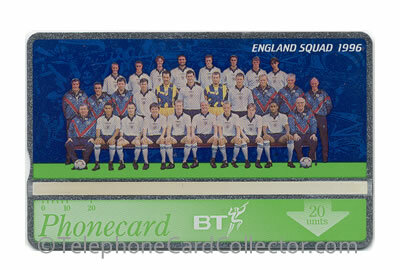 Christmas 1990 100unit BT Phonecard. 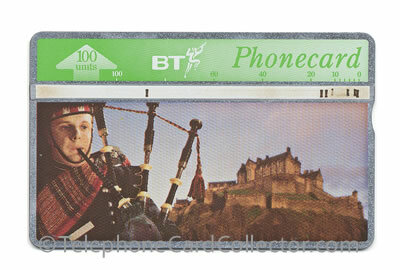 Scots Guard Piper BT Phonecard part of a six card Summer Tourism set. 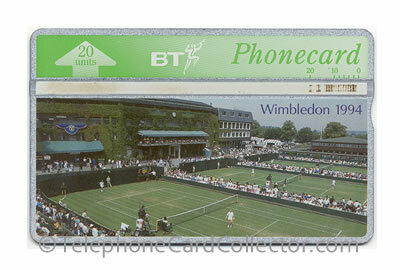 Used 20unit Wimbledon Tennis Championship 1994 BT Phonecard. But Is It Cricket? 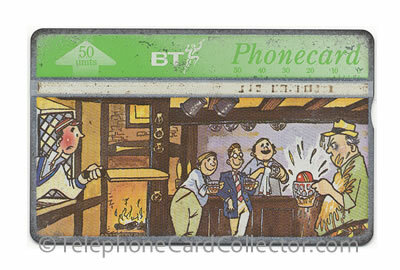 BT Phonecard part of a six card True Brits set. Each design featured a different cartoon story, depicting British life. BTC121: True Brits (6) But Is It Cricket? 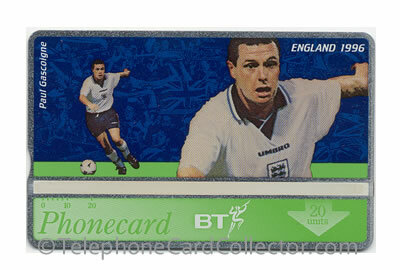 Final commemorative BT Phonecard set, issued for Euro 1996.